The Primary Science Development Officers can provide twilight training sessions on the IDL resources below. Please get in touch for more details. This is a resource published by the John Muir Trust. Please look at the CPD website for twilight training events which will be taking place in session 2019. Developed by Fife Council, STEAM a story is a resource which has been designed to incorporate STEAM activities to go alongside the Read, Write and Count book bags. Energy4Me is a fun and engaging resource which explores fossil fuels from their formation in the ground, to how they are extracted. It also explores some of the products that are made from the fuels. It has been developed for CfE by Aberdeen Science Centre and incorporates many excellent STEM activities. Titanic Science has been written by teachers for teachers, therefore it is designed to support, empower and inspire teachers to deliver high quality and engaging science lessons. Titanic Science tells the story of the greatest ship ever built and uniquely places science at the heart of her epic story. By working through the 15 investigations in the resource, pupils will learn how science played a pivotal part at the key moments of her story, from her construction to the tragedy of her sinking. Individual investigations can be used to highlight scientific concepts, or the whole resource can be used to examine the full story of Titanic. As a multi-disciplinary resource, it will also provide material for other curriculum areas, such as creative writing, history and numeracy. 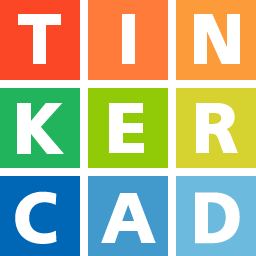 Tinkercad is an easy-to-use 3D CAD design tool. Quickly turn your idea into a CAD model for a 3D printer with Tinkercad. It is great for going from junk modelling to design. You can also use it to make minecraft models and lego builds. Click on the link above to access. Science on the Web is a comprehensive guide to the best science websites, interactive games, videos and resources on the internet. It is linked to both the National Curriculum and Curriculum for Excellence through detailed curricular maps. It is a downloadable pdf designed to be saved to and accessed from your desktop. Science on the Web will be audited and updated annually to check the links and add any new resources. Some great activities to use for teaching Astrobiology.